Birds and animals lead regulated lives. Use their knowledge to live properly? Discipline is a must for every living being, more so for humans for whom it is verily the moral backbone. Discipline implies strict adherence to rules, regulations and principles, without which life would be totally ruined. Bereft of rules and regulations defined within a moral framework, humanity as a whole would come to grief. There is in fact an ancient saying that a society deficient in moral values cannot be happy and prosperous. Discipline cannot be acquired from books and classrooms. Rather, it becomes ingrained only through the strict regulation of every single activity of daily life from dawn to dusk; and once acquired, discipline must become a way of life as long as one lives. Discipline is a necessity not merely for individuals but also for organisations, political systems and indeed the whole of society. The fact is that from institutions to nations none can survive without discipline, for it is discipline that promotes unity between individuals, bonds them to society and unifies entire communities. 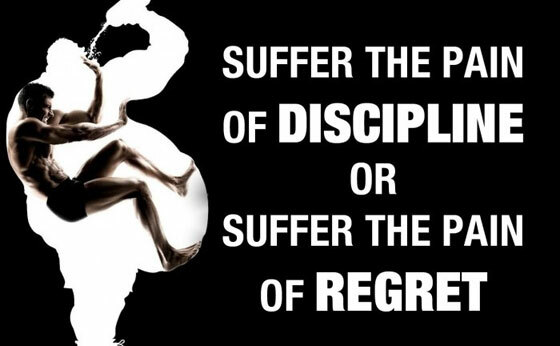 In other words, discipline is an essential component of meaningful human existence. Discipline is essential even in simple matters like talking, singing and playing. For example, while singing bhajans everyone must strictly adhere to sruthi, i.e., maintain absolute tonal purity. Harmony would be ruined even if one singer goes off-key and the outcome could be most jarring. Likewise, in sports every player must unconditionally submit to the decisions of the umpire or referee, in letter and in spirit. At times, deeply absorbed in the game a player might unconsciously violate a rule. That breach, however, does not escape the watchful eyes of the referee who then promptly blows the whistle. The moment the whistle is heard, the player at fault must bow to the ruling of the referee and play must stop immediately; failure to do so would be a serious violation of the spirit of sports. In life, discipline is absolutely essential. Totally indifferent to this requirement, most people these days merrily flout discipline; no wonder life as a whole has become unbearable. Sadly these days, people exercising self-control have become rare exceptions. People in positions of authority whatever be the field of activity – agriculture, business or whatever – must strictly adhere to the rules and regulations they are bound by. Just because one is powerful, one cannot speak as one likes or pass orders as one pleases; whatever a leader does must be within the bounds of law. Thus, a person has to observe decorum and propriety while speaking. Likewise, when issuing a written order, the person concerned must pause to reflect on the impact the order would have, as well as its likely consequences. Never must an order be passed in haste, without careful prior analysis and deep reflection. The prestige of office must be meticulously preserved and protected by the principled and disciplined exercise of authority. Once one strictly abides by rules, one does not need any further protection because self-discipline itself becomes one’s best armour. Discipline is needed on all occasions, whether one is talking, laughing, sitting or walking. For example, some people walk randomly while going along a road, even if the road is broad and there is enough space to stay conveniently to one side. One must walk only on the sidewalk or pavement so as not to disturb vehicular traffic. Walking randomly not only violates road discipline but also hinders others; one must never cause inconvenience or pain to others, which is why Swami often says help ever and hurt never. Indeed, discipline is needed even while helping others. Observance of discipline must start at an early age, which is why Swami often advises you to start early, drive slowly and reach safely. Discipline is indispensable not only for children and students but also for all adults including teachers, officials, etc., indeed every single citizen. It must be observed even in small matters such as greeting a person in an appropriate manner, showing respect to elders, knowing when to remain standing and when to sit while in the presence of others, and so on. Many children slouch while sitting, which is a bad habit. Sitting erect is essential for stimulating good thoughts, improving the intellect and achieving rapid concentration. An erect posture significantly enhances the awakening of latent spiritual forces. 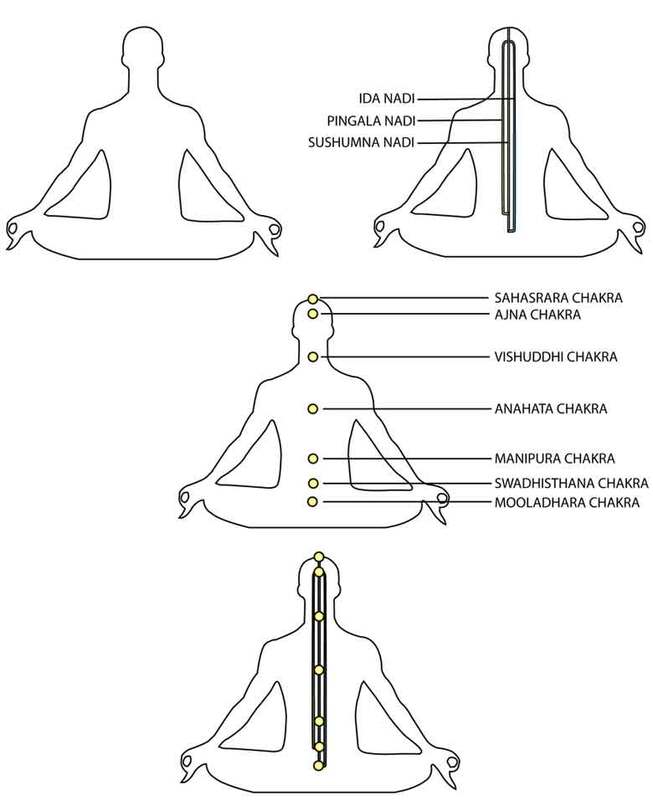 The spinal column has 33 rings and located between the 9th and the 22nd is the Sushumna nadi1 that acts as the passage for Kundalini Shakti1 or spiritual power, from its base Mooladhara1 located at the base of the spine to its destination Sahasrara1, also referred to as the Thousand-petalled Lotus. What exactly does the Kundalini Shakti mean? According to some experts in Yoga, there is a serpent named Kundalini that lies coiled up in Mooladhara which, when aroused, makes its way up (in stages) to Sahasrara. This is a totally wrong description of Kundalini Shakti; in fact, there is no serpent within. What really happens is that while engaging in pranayama2 or meditative breathing exercises, air is inhaled, held back or retained for a while and then exhaled. During the retention period, the Kundalini power gets stimulated and slowly makes its way upwards through the 33 rings in the spine. It is to facilitate the smooth upward passage of Kundalini power that yoga practitioners maintain an erect posture which, incidentally, also greatly enhances the ability to concentrate. Sitting erect is thus an essential requirement of pranayama. Such discipline comes only through strict observance of certain types of purification. To start with, the body must be kept pure, not by cleaning the body with soap and water but by engaging in good actions. Likewise, the mind too must be purified by filling it with good thoughts. When good thoughts in the mind get translated into good actions, the body automatically becomes spiritually purified. It is through such purity of thought and action that buddhi3 or the power of spiritual discrimination becomes significantly enhanced. People often use the word 'I' while referring to themselves, scarcely realising that this ‘I’ or Aham as it is referred to in Sanskrit is the primordial essence of oneself. This Aham is born of the Eternal and Indestructible Atma. From Aham emerges chitta or the mind, and for its part, chitta is the source of Vak or the Word. Thus Aham or ‘I’, chitta or the mind and Vak or the word (which, remember, originates from the body) all belong to the lineage of the Atma, and are thus expected to reflect the absolute purity of the Atma. Word is most sacred and there can be no greater sin than going back on the given word, declared Emperor Bali. There is an incident associated with the Shirdi Avatar that highlights the importance of adhering to one’s promise. During the days of Shirdi Baba there lived in a place called Bandra (a suburb of Bombay now renamed Mumbai), a man named Tarkad who was a lawyer. Tarkad belonged to the Brahmo Samaj4 and did not believe in pilgrimages. His wife, however, was an ardent devotee of Shirdi Baba and wished to go on a pilgrimage to Shirdi, along with her sixteen year old son. Tarkad gave his consent while excusing himself. In doing so, Tarkad failed to realise that though people may profess different faiths, there is only one God; refusing to acknowledge the universality of the Divine is a clear sign of spiritual weakness. Embarrassed that he did not have the tremendous faith and discipline his son had, Tarkad solemnly promised to his son that he would offer regular worship exactly as the latter did. Happy that the worship of Baba would continue uninterrupted, the son then left for Shirdi along with his mother. For his part, Tarkad performed the ritual in all sincerity, not forgetting to offer candy to Baba at the end of the worship, which he later ate as prasaadam. Three days had passed since mother and son left for Shirdi. It was Thursday a sacred day of the week and Tarkad had an important case coming up in the Court. He had his bath as usual, offered worship, hurriedly ate breakfast and rushed to the Court. Returning home at lunch time Tarkad asked the cook to bring Baba’s prasaadam before serving lunch. The cook replied, “Sir, this morning you did not offer candy and so I cannot serve you any prasaadam.” Realising his mistake Tarkad felt miserable, especially because he had defaulted on the promise made to his son. Just then, Baba’s companion Jog showed up and said that he had a message from Baba which was: “There is no need for you to go back. You are not at fault and it is your father who broke his promise. You have My blessings and you can stay here as long as you like.” Though somewhat unhappy about the broken promise, the boy and his mother stayed in Shirdi for ten days and then returned; but throughout their stay, the boy was feeling miserable that Baba had been sent back without being offered anything. When they returned to Bandra, the son complained to his father about the broken promise. Deeply anguished the father said, “Son, you are much younger than me but I do have to ask you to excuse me.” The son replied, “Father, you should seek pardon from Baba and not from me. It is important for you to adhere to Truth. As a lawyer you argue in a Court of Law. Think about how many families would be ruined if you deviate from Truth. Surely you are aware of Emperor Manu and his strict adherence to Dharma. If as a lawyer, you deviate from truth while arguing in court, would it not harm many families? Your entire training as a lawyer would be a waste if you do not adhere to truth. You must be a lawyer and not a liar.” This is how the sixteen-year old corrected his father. Irrespective of the faith group to which one might belong, be it Brahmo Samaj or Arya Samaj6 promise is a promise and once made should never be broken. Strict adherence to discipline is thus vitally important, and all the daily duties must be performed in a highly disciplined manner; if one does so one is sure to attain the Divine. To the Eternal and the Divine. Preoccupied with just filling your belly. By so wasting your life? Brahman is the offering and Brahman is also the oblation. And the fire that receives the offering is also Brahman. He who sees Brahman in all his actions would attain Brahman. When food is offered to God, God within responds by saying, “Functioning as Vaishwanara7, I digest the food. Eat only to the extent I require.” If one overeats, Vaishwanara warns, “Don’t send me any more food!” Ignoring the warning if one insists on overeating, one is bound to end up with an upset stomach; indeed, often stomach is where many ailments begin. Hence never overeat or even fill your stomach. Regulation in eating means that at least one quarter of your stomach must be empty at the end of the meal. Discipline must become an integral part of your life, covering all aspects, activities and actions; this is the proper way to regulate your life. Discipline is essential because it is the very essence of Karma Yoga, which allows you to attain perfection and become the master of action. Such mastery demands restraint, regulation, strict control, and rigid adherence to God’s command, for all of which discipline is the principal foundation. And it is when you achieve complete mastery over your actions that you become eligible to be called vidyavantulu or a truly educated person. The word vid means wisdom, which implies that education means something more than mere knowledge. In other words, true education is that where knowledge flowers into wisdom. And proud you are of ephemeral knowledge acquired. To submit to the Divine with folded hands? Do not claim to have read many books and feel proud about your scholarship. Instead, be humble and fold your hands, for humility is the first step in spirituality. Salutation offered with two hands brought together is referred to as Namaskaram. What is the inner significance of Namaskaram? When the ten fingers of the two hands are brought together to offer Namaskaram, it is a symbolic representation of the unity and harmony of the five organs of action and the five organs of cognition. Namaskaram thus stands for seeing unity in diversity. True spirituality implies seeing the same Atma in all beings. The gesture of Namaskaram is thus not only physically important but also has profound significance in spirituality. The Sanskrit phrase ‘na-mama,’ means ‘not me.’ Namaskaram can thus also be interpreted as an action that diminishes and eventually removes ego. ‘Mama,’ means everything is mine while ‘na-mama’ means nothing is mine. It is like saying, “O Swami! Everything is yours! !” In other words, Namaskaram implies surrendering to God with the feeling that nothing belongs to us. Such a spirit of humility and total surrender to God cannot come without basic discipline, which is why it is important that discipline be integrated with and become a part of every single action that one performs from dawn to dusk. In today’s world, discipline has lost its fundamental meaning, which is that of strict control of the senses and the mind. That is why most people are totally ignorant about the vital need for sense control and instead associate discipline with something far less significant. The eyes, for example, must be cautioned, “Oh eyes! What is it that you are looking at? Never look at anything that is bad.” That is what discipline really boils down to namely, mastery of the senses and the mind without which mastery over action is impossible. It is all very simple really. See no evil, see what is good. Talk no evil, talk what is good. Hear no evil, hear what is good. Think no evil, think what is good. Do no evil, do what is good; that is the way to God. Be positive always and do good, see good, talk good, hear good and think good – this is the discipline you must follow. Make sure to keep your tongue under control. No matter what the provocation, you should always remain calm and restrain yourself. Perfect equanimity – that is the hall mark of total control. Students! Even birds and animals lead regulated lives. However, humans are sorely lacking in basic discipline, despite all their education and knowledge. You might have seen near your hostel monkeys wandering around. If you watch carefully, you would notice they remain silent for at least one hour during the day. Birds too remain silent for some time every day. In sharp contrast, humans can hardly keep quiet. Indeed, it is rare to see people being silent; and if some try to be different and cultivate the habit of being silent, they are made fun of. Follow the example of those who aspire to be disciplined and, whenever you can, try to observe silence. Who is Brahman or God? Silence is God. In fact, silence combined with absolute stillness is God – such is the exalted status associated with pure and total silence. When speech is controlled, everything else easily comes under control. Among the sense organs, the eye can only see, the ears can only hear and the nose can only smell. None of these organs has a second capability. By contrast, the tongue has two capacities, the ability to taste and the ability to speak. This additional capability also brings with it added responsibility; that is why it is the tongue that must be controlled first. Many of you may be aware of why care is needed while car tyres are filled with air. Some are under the impression that all tyres must be filled to the same pressure. This is not correct; the fact is the front tyres must be filled to a slightly greater pressure than the rear ones. If the pressure is higher than it ought to be, it must be decreased; likewise, if it is low, it must be increased. The great saint Ramakrishna Paramahamsa8 used to live in an ashram in a village named Kamarpukur in Bengal, which was located on the banks of the river Ganges. Unlike their counterparts elsewhere, Brahmins in Bengal eat fresh-water fish and are thus known as Matsya Brahmins or fish-eating Brahmins. Whenever they went to the river for bathing, they would bring some fish back home. Despite this ridicule, thanks to his magnetic personality and Divine effulgence Ramakrishna not only drew many youth to him but also inspired many of them to join the monastic order and live in his ashram as sannyasis or monks. Every day Ramakrishna would assign one of them to go to Calcutta and get fish from there, and one day it was the turn of a young monk named Brahmananda to do so. The monk went to the pier to take a boat to go to Calcutta, and seeing the orange-robe clad Brahmananda get into the boat many there immediately began disparaging Ramakrishna and said, “That mad man does not do any work nor do his boys, like this one, for example.” In their view, Ramakrishna was collecting talented youth and ruining them. Feigning anger, Ramakrishna chastised Brahmananda and said, “Can you call yourself a disciple after putting up with abuses hurled at your Master? How could you remain silent when your Master was being vilified? Is it not a sin to tolerate the abuses directed at one’s Master? The one who abuses a Guru commits a sin as also a disciple who puts up with it. You are not a good disciple and are unfit to be in the ashram. Leave this place at once!” Brahmananda did not respond but just went on crying. Next day, it was the turn of young Narendra, also known as Vivekananda10, to do the boat trip. Even as Vivekananda purchased a ticket and boarded the boat, the boatmen began to mock him. Infuriated Vivekananda roared, “Shut up!” which made the offenders even more aggressive. Vivekananda then resorted to force and, picking up one man, warned that if the abuse did not stop forthwith he would throw them one by one into the river. That frightened the mob and promptly everyone became silent. Vivekananda was thus able to make the trip, buy fish and complete his assignment. Teaching and preaching cannot be the same for all and must be tailored to the situation and the nature of the person receiving the teaching, as also the capacity of that person to absorb the teachings. Although there is plenty of water in the Ganges, what each person carries home depends on the size of the container he brings. Similarly, all cannot be taught the same lesson and teaching must be tailored to the recipient. Where spiritual seekers are concerned, God bestows energy each according to the individual’s capacity to absorb, which in turn is determined by how disciplined the person is. 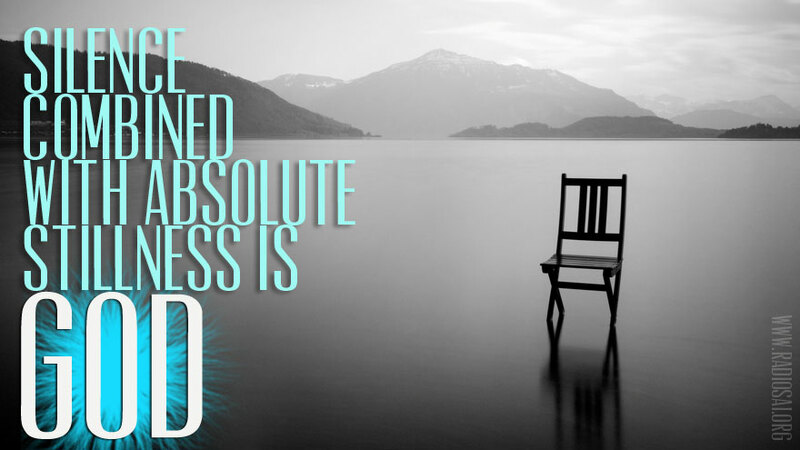 It is through discipline that you can enhance your capacity to absorb. Lack of steadiness would not do, and without discipline it is not possible to attain God. Here is a small example. Let us say that at 6 PM every day you either sing bhajans or do meditation. Suppose on a particular day you happen to be travelling in a bus at the time you have set apart for this particular activity. Some hold the view that spiritual practices must be observed only in designated places. That is not correct. What matters is the activity itself and not the place. Thus when the time is right, you can meditate wherever you happen to be. It does not matter if you are travelling, because even in the bus you can think of God. You do not have to go to a particular place to be with God; on the contrary, your mind can dwell on God no matter where you are. As long as you are regular and diligent in your duties, all benefits would accrue to you. Time is the master of all mortals since all must bow to time, when the moment comes. But time too has a Master. Who is that Master? It is God. People imagine that there is a Lord of Death known as Yama. In truth, Yama is just a symbolic representation of time. Unaware of this, children and young people wonder how the Sun could have a son named Yama the Lord of Death. Feelings like the Sun having an offspring arise out of misunderstanding. How then are we to understand time? Basically it should be via the phenomenon of sunrise and sunset, both of which are related to the Sun. We count time by saying that from between sunrise to sunset there are 12 hours; further, sunrise is taken to be at 6 o’clock in the morning and sunset at 6 o’clock in the evening. In other words, we relate time to the movement of the Sun in the sky; and it is on account of this connection between the Sun and time that ancients began to describe the two via a father and son relationship. Similar reflection and analysis is needed where the ultimate nature of Truth is concerned. Such inquiry must explore the relationship of action to the Atma for that alone can reveal what Sathya or Truth really means. Where the Atma or the Ultimate Truth is concerned, there is no room or scope for any doubt. However, in modern times people often dismiss many things said in the scriptures because they view these statements purely in physical terms and from a narrow perspective. It is a mistake to do so. A proper and in-depth analysis is needed to grasp the real meaning of the scriptures. It is said, for example, that Vishnu11, Lakshmi11 and Saraswati11 are born out of the Lotus. What it actually means is that everything Divine is associated with the Lotus of the Heart. That said, people do have good and bad thoughts. Such thoughts do not belong to the realm of the Heart but to the mind. Thanks to the mind, what you think you become. Just because you are unable to appreciate the symbolism and grasp the inner meaning, you cannot dismiss the scriptures. Don’t be impatient and rush to doubt or trash the Puranas12 or scriptural mythology. Be patient, calm, steadfast, and take your time to understand the correct meaning. Never allow doubts to agitate your mind. The Puranas are not the works of unknown and incompetent writers. They have come to us from none other than immortal sages like Valmiki13 and Vyasa14, who were the very embodiments of wisdom. Given that, there is absolutely no room for any untruth in the Puranas. Ignorant people may dismiss the Puranas but the fact is that the Puranas do not have an iota of untruth and can never lead one to the wrong path. On the contrary, they show the path to idealism and Truth, and are nothing short of text books of Wisdom. It is important to lead an ideal life, and to do so one must first reduce talking. Be disciplined and obey God’s command. Under no circumstances must discipline be compromised. Tarkad’s son was just sixteen years old. Yet, unsure that his father would offer regular worship, the boy made his father promise that he would do so. In the end, it was the boy’s total faith and rigorous discipline that made his father seek an apology. No doubt there was an age gap between the father and the son. However, the same Atma was present in both of them. Truth is one and age becomes irrelevant where Truth is concerned. Truth can never be fragmented and there is no such thing as separate truths for different castes such as Brahmins15 and Sudras15, who represent the two ends of the caste spectrum. Truth is always one, and never two. The Vedic declaration “Ekameva adviteeyam Brahma,” means that God is one without a second. The ancient tradition of India is rich in scriptural declarations that proclaim Truth. The wisdom and cultural tradition of India have diffused widely into the world, and that is the culture and tradition into which you are born. Therefore, never forget or give up your heritage, which is profound, sacred and Divine. Also, do not allow your mind to wander as it pleases. Instead, restrain and regulate it to follow ancient culture so that you automatically stay on the right path. Your mind may waver and try to make you stray to the wrong path but you must remain firm and steadfast. You should be the master of your mind and not its servant. God alone must be your ultimate Master. God’s vision is infinite and the grandeur of His Design indescribable. Unable to understand Cosmic Infinity, humans often treat matters dealing with Divine in a most casual manner. God is unimaginably large-hearted and it is impossible for a mortal to be likewise. Slowly, Kuchela began to grasp the immensity of what was happening before his eyes. His mind full of vision of the Divine he had been blessed with, Kuchela slowly trudged back home and when he reached it, he was hardly prepared for the spectacle that greeted him. Gone was his humble house and in its place stood a great mansion, while his wife and children were dressed in gorgeous clothes and wearing expensive jewellery. Students! Swami’s Heart is infinitely large. All of you being verily the embodiments of the Atma, you too can and indeed ought to broaden your Hearts. When I say you are Mine, those words have the sweet fragrance of Divine Love. 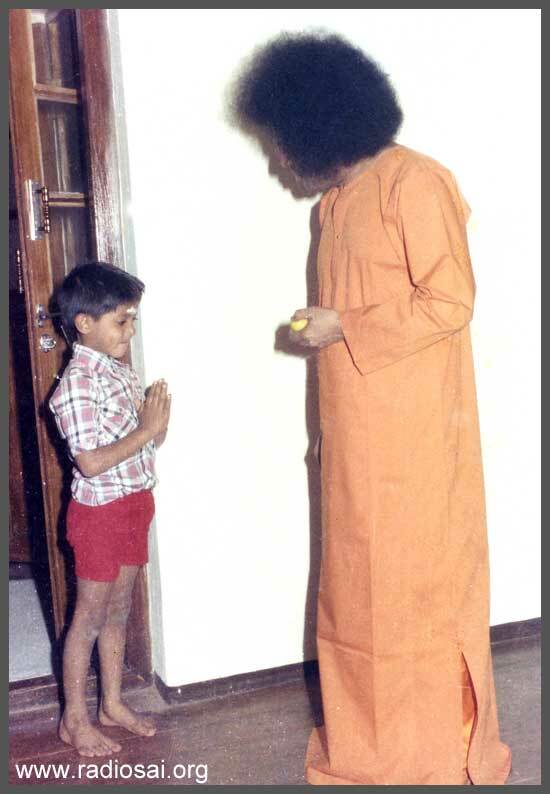 Reciprocating it, you too must cultivate the feeling that Swami is truly yours! In principle, you have the right to claim Swami as your own. However, you should earn the eligibility to make such a claim. Expand your Love and meticulously follow Swami’s instructions to achieve Ananda or Pure Bliss; until you do that, you cannot be truly happy. 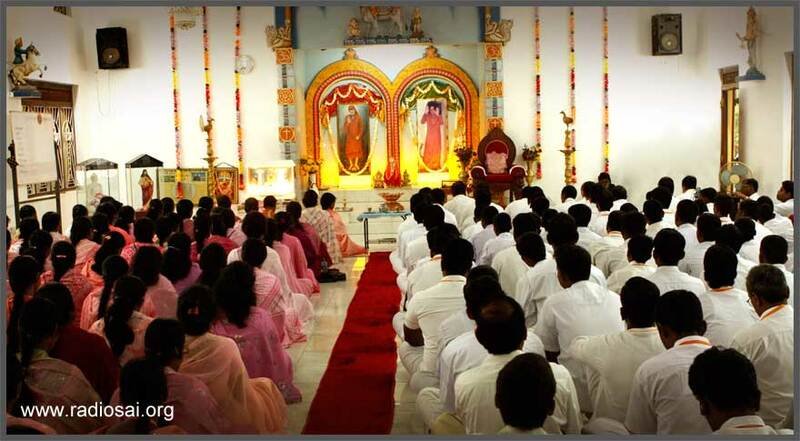 Real Bliss can come to you only when you obey and follow Swami’s commands in every sense of the word. I am always ready to receive you but you are not getting ready to come to Me! Before clicking a picture, photographers always give an alert signal with the word, “Ready!”. If you are steady at that moment, then the picture would come out nicely. Before the signal is given you can be shuffling about, but once you have been alerted you must be steady and ready. Where the Divine photographer is concerned, no one knows when His signal would come. Thus, you have to be ever ready to be united with the Divine. Without any prior alert, Lord the Master Photographer may click and your picture would be recorded in His Heart! If you want the right picture to be recorded, then you must be in perpetual readiness. That is the spirit in which life must be lived, and discipline alone can prepare you for such a life. 1. According to Vedanta, God or Brahman in His absolute aspect created the universe by willing it. Clearly, there must have been a purpose and indeed there was. God being the Ultimate in goodness, has latent in Him qualities we usually refer to as virtues which include Sathya, Dharma, Prema, Ahimsa, etc. Just as actors are needed to make a play come alive and have meaning, God too wanted virtues to be manifested. For this purpose He created the universe as a stage and gave humans the role of being the principal actors, since they alone could consciously exhibit virtues. According to Vedanta, in order to create the universe, Brahman first peeled off from Himself the Consciousness aspect (Siva/Purusha) and the energy aspect (Shakti/Prakriti) as two distinct entities which, by coming together in various ways produced the diversity, both inanimate and animate, which fills the universe. Much of what we see is gross or inert matter made up of atoms, which of course are inert. Even so, since living beings despite being made up of inert atoms also have life and awareness at various levels, there clearly is more to Creation than purely the gross aspect. Vedanta posits that this has been facilitated through the creation of three universes, the causal (known as Chidaakasa), the subtle (known as Chittaakasa) and the gross (known as Bhutaakasa) respectively. What we normally see and experience relates mostly to the Bhutaakasa aspect, while the other two are not so evident. All entities in Creation have components drawn from all three universes, though in varying proportions. In humans, the gross is what makes up flesh, bones, blood, organs, etc. The subtle universe contributes praana or life-force, which enables us to move, our organs to function, the senses to operate and, most important of all, the mind to think. The causal is present in us as our Consciousness, which not only facilitates external awareness but also enables us to discover our latent Divinity; and it is in relation to the latter that the Kundalini comes into play. To understand how Kundalini helps the individual to rise to higher and higher levels of spiritual awareness, we must first note that just as at the gross level we have organs, nerves etc., at the subtle level too there are what are called nadis, which provide channels for subtle energy to flow as also nerve clusters known as chakras, which get activated when they come into contact with channelled or directed praana Shakti / life-force. As is often said, the physical body is simply ‘hung’ on a subtle framework, just as one would hang clothes on a cloth hanger. Keeping this picture in mind, we shall now try to understand what the arousal and the upward movement of the power of Kundalini means. Before proceeding further, it is pertinent to list the various chakras and what they represent. Starting from the bottom and moving upwards, the chakras are: Mooladhara, Swadhisthana, Manipura, Anahata,Vishuddhi, Ajna and Sahasrara. For convenience in identification, every charka is associated with a particular region of the body. From a spiritual point of view, every chakra is a mile stone in the journey towards total spiritual awakening. In other words, reaching every one of these milestones implies a certain amount of awakening. At times, this awakening is compared to the opening of a flower, the lotus in particular. Moving up from the bottom, the associated lotuses are supposed to have 4, 6, 10,… petals and so on. The lotus associated with Sahasrara is said to have a thousand petals; in spirituality, the number thousand is symbolic of Infinity; in that sense, Sahasrara is representative of God-head and is actually present within each of us, at a subtle level though. Seen in this light, spiritual awakening is all about raising Kundalini power through various stages of awareness to its ultimate destination, namely, Sahasrara. The first few chakras are associated with mundane rather than spiritual aspect. Thus the first is related to the desire for security and greed. If one is able to rise above this level, then it means one has got started on the journey of awakening. Moving on, the second chakra is associated with the desire for sensual pleasure, the third with craving for status, recognition, and so on. Up to the third level, the awareness if any, is connected solely with the external and material world, and understandably most people rise up to this level with relative ease. The real journey upwards starts only when one is keen about going beyond the third, and this precisely is also when the journey demands much spiritual discipline. When the fourth chakra is crossed love for God and devotion are aroused, which is a good start. Going up, at the level of the fifth there is a hunger for spiritual knowledge; at this stage the aspirant rises to the level of a jignasu or one who yearns for spiritual knowledge. The sixth chakra represents a highly advanced stage, and when that stage is reached, all worldly desires would have been left behind; the only desire still left would be a deep yearning to merge with God. People who have come up this stage are yogis on the verge of total merger. The final step is reaching the seventh chakra, when the Jivatma or the individual soul merges with Paramatma or the Universal Soul. In terms of Consciousness, individual consciousness merges totally into Pure Consciousness. Swami compares this union to a river merging with the ocean. Seen another way, the Shakti aspect unites with the Siva aspect, going back to Brahman, from where it all started. 2. In simple terms, the word pranayama means breath-control; in the context of spiritual awakening, pranayama is a critical tool that has to be used carefully in arousing and properly directing the power of Kundalini to awake, arise and move upwards towards Sahasrara, the destination. Only those in rigorous quest of Brahman would be able to dedicate an entire life for this and for such aspirants, Sage Patanjali laid down an eight-fold path described in a famous text known as Patanjali Yogasutra. Simply put, the eight-fold path includes the following steps: 1) making a pledge to strictly adhere to mandatory vows, a step known as yama, 2) imposing on oneself additional discipline, a step known as niyama, 3) systematic practice of exercises known as asanas that not only help one to stay in a single posture for a long time but also builds stamina, 4) practice pranayama or breath control, 5) practice pratyahara or the ability to withdraw the mind from sense objects and all sensual desires, 6) practice dharana or intense concentration, and 7) practice dhyana or transcendental meditation, i.e., meditating on that which is beyond the mind. If one has successfully mastered these seven steps, the seeker would reach a stage known as Samadhi, where the experience would be that of sheer oneness – this is number 8 in Patanjali’s list and marks the end of journey. In the Samadhi state, the duality of the phenomenal world (where we believe we are separate from all that surrounds us) totally disappears and the Inner Self alone exists. Stated differently, the body and the mind that cover the Atmic aspect within a person drop off and the Real Self/Atma is all by itself. Such a state would also be one of pure tranquillity and complete bliss or Ananda. Several important points are to be noticed here. Firstly, without basic and strict discipline in habits, it is simply impossible to be a yogi. Secondly, one cannot start on pranayama on day one; that has to wait till the basic steps related to yama, etc., are successfully gone through. It is important to note that pranayama alone that can make the Kundalini power get concentrated as well as directed and make it flow along the sushumna nadi, instead of flowing along either ida or pingala, as happens in the case of normal persons who lack the urge to seek Self-Realization. 3. Scientists believe that there is no such thing as the mind and that there is nothing beyond the physical organ called the brain. Psychologists, on the other hand, accept the concept of the mind as an epiphenomenon, that is to say as a useful construct which, however, does not add anything to the function of the brain as such. The modern viewpoint regarding the mind has been largely shaped by the celebrated psychologist Sigmund Freud, according to whom the mind is supposed to have three aspects namely, (a) the conscious mind, (b) the sub-conscious mind, and (c) the unconscious mind. The conscious mind is often referred to as ego and is the agent that controls all the actions of an individual. The sub-conscious mind is believed to be that aspect which controls all actions occurring autonomously, i.e., without the individual making any special effort to perform the action concerned. The unconscious mind which, incidentally, is of particular interest to psychologists and psychiatrists, is supposed to be a storehouse of suppressed and other kinds of thoughts (all gathered from the conscious mind for storage). This collection is supposed to drive impulses, instinctive reactions, etc. It is further believed that the unconscious mind has a big role to play in the dream state. In the Vedantic picture, the mind is often divided into four different components, they being: a) manas, (the thinking aspect), b) buddhi (the intellect or the spiritual discrimination aspect), c) ahamkaara (the ego aspect) and, d) chitta (the memory aspect). In other words, the mind is treated as a mono-actor who plays many roles in a mono-act play. Turning to buddhi, it is the agency that engages in spiritual discrimination and advises a person whether an action that the person intends to engage in is good or bad. Operationally, buddhi can be regarded as a pipe line to Atma functioning as the Conscience and conveying the latter’s decision to the mind, which then instructs the body appropriately. In passing we note that the importance of buddhi has been strongly stressed by Krishna in Chapter 2 of the Gita and by Swami on numerous occasions. 4. The Brahmo Samaj refers to an organisation founded in 1830 by Raja Ram Mohan Roy and Debendranath Tagore. It was an offshoot of the cultural and spiritual renaissance that was sweeping Bengal, after nearly a century of rule under the (British) East India Company. The majority population which was Hindu was dominated by the brahmin community which was very traditionalist in its beliefs and views, many of which were also oppressive as well as anti-social. Both Roy and Tagore who were exposed to Western learning through the Asiatic Society founded by William Jones, rejected orthodoxy and asked people to directly worship God or Brahman in His ultimate aspect as "the (nameless) unsearchable Eternal, Immutable Being who is the Author and Preserver of the Universe." In practical terms, the members of the Brahmo Samaj rejected rituals of all sorts, including pilgrimages, as Tarkad did. 5. According to Vedic tradition food, after it is cooked, must first be ceremonially offered to the Lord or a deity of choice (usually in the family altar). The offering is referred to as naivedyam, and food thus offered is said to have become sanctified. Obviously, the offering is symbolic since the food is not physically received and eaten by the deity to whom it has been offered. The sanctified food is then distributed as God’s gift, formally known as prasaadam. It is to be noted that the term prasaadam means a gift of God; it is therefore applicable in wider sense and not merely to sanctified food. In this spirit, the health and wealth we enjoy as also the knowledge we possess must be regarded as prasaadam and ought to be used for good causes only. 6. The Arya Samaj is another movement that came into existence as a counter to brahmin orthodoxy. It was founded in 1875 by Swami Dayanand Saraswati, a Hindu monk from Gujarat. Like Roy and Tagore, Dayanand Sarawati also rejected Brahminism, and along with it the problematic traditions of the caste system; and, like the members of the Brahmo Samaj, Dayanand Saraswati too believed in one, Absolute God. However, where he differed from the Brahmo Samaj was that in his view, the Vedas represented the supreme scriptures in that they contained revelations made by God Himself. He thus established schools that promoted Vedic chanting and rituals. In other words, he represented a via media between ossified and extreme orthodoxy and the totally abstract and purely intellectual attitude that the Brahmo Samaj represented. India being vast and diverse there were, understandably, sufficient followers of both ideologies. 7. In the Gita, Lord Krishna tells Arjuna that God pervades the universe at three distinct and different levels, namely the Causal, the subtle and the gross. On occasions, Swami has referred to these three universes which bear the names Chidakasa (Causal universe), Chittakasa (subtle universe) and Bhutakasa (gross universe). Since humans are a part of Creation, they naturally have three components namely, a body that is gross, a life-force that is subtle and not only governs all bodily functions but also energises the mind, and a (spiritual) Heart where God seats Himself as the Conscience to guide humans along the right path. The scriptures identify distinct presiding deities related to the three aspects of Creation, both at the micro as well as the macro levels. The deities in charge are as follows: At the level of the body, the deities in charge are Vaishwanara who presides over bodily functions, Taijasa who presides over the mind and Prajna or Consciousness who is seated in the Heart. The macro complement of these three deities are, Virata (for Bhutakasa), Hiranyagarbha (for Chittakasa) and Ishwara (for Chidakasa) respectively. 8. Ramakrishna Paramahamsa (1836-1886) was born in the village of Kamarpukur to a poor but extremely pious couple. Young Ramakrishna showed a strong spiritual streak and shunned formal education. At the same time, he was keen to serve holy people and listen to their discourses. He also often slipped into moods of pure ecstasy. When he turned sixteen, Ramakrishna’s elder brother took him to Calcutta and trained him to become a priest. A few years later, Ramakrishna became the chief priest in a temple built for goddess Kali built by a rich lady of Calcutta. Ramakrishna was no ordinary priest; he became totally absorbed in Kali and experienced her as the loving and compassionate Universal Mother. Ever in deep quest for God, Ramakrishna’s God-intoxication triggered his curiosity to know about other religions also. Soon Ramakrishna realised that religions are but different pathways to the same God, and began to look upon Buddha and Jesus as incarnations of God. He also venerated the ten gurus of the Sikhism. He saw God everywhere and frequently went into trance, experiencing total communion with the Divine. Ramakrishna developed throat cancer and passed away on August 16, 1886 uttering the name of the Divine Mother, the best way to go, as Krishna tells Arjuna in the Gita. Ramakrishna’s legacy was carried forward mainly by his disciples who had already become monks, the foremost among them being Vivekananda. 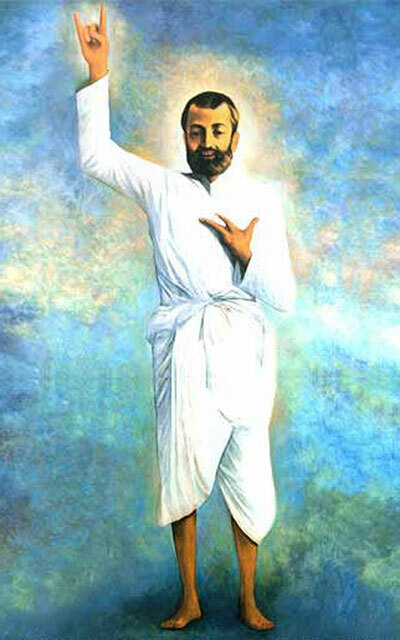 Just as Gandhi came to be called Mahatma or the great soul, Ramakrishna came to be known as Paramahamsa. In Sanskrit, the word Paramahamsa means the ‘supreme swan,’ symbolising perfect discrimination between the unreal or the transient and true reality or that which is unchanging. Thus one who is fully realised and united with the Divine is referred to as Paramahamsa. I am bringing to Europe, as yet unaware of it, the fruit of a new autumn, a new message of the Soul, the symphony of India, bearing the name of Ramakrishna. With his victorious sign he marks a new era. The man whose image I here evoke was the consummation of two thousand years of the spiritual life of three hundred million people ........ (whose) inner life embraced the whole multiplicity of men and gods. 9. Calcutta now (renamed Kolkata) was originally a small cluster of villages in Bengal located on the river Hoogly. In the 17th century this region was under the suzerainty of the Mughal Dynasty in Delhi and ruled on their behalf by local Nawabs. In 1690 the Nawab gave a trading license to the British East India Company, which promptly built a fort and established a strong mercantile base. This irked the Moghuls and in 1756 the then Nawab of Bengal occupied Kolkata. The British not only took it back within a year but assumed full sovereignty over the entire region in 1772, giving it the name Calcutta. Thereafter Calcutta became the capital of Indian territory captured and ruled over by the East India Company. The city continued to be the capital of India when the territories passed to the British Crown in 1857 until the capital was moved to Delhi in 1911, since the latter city was more centrally located in the sub-continent. 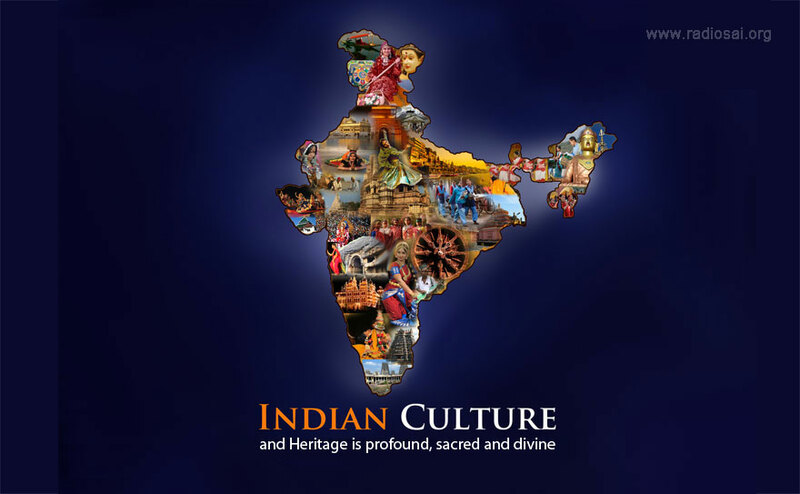 During the latter half of the 19th century and the early part of the 20th century, there was a tremendous reawakening in the entire region, referred to as the Bengal Renaissance, thanks to which everything from philosophy and science to arts and culture saw an explosive rejuvenation. After independence, Calcutta became the capital city of the state of West Bengal, which it remains to this day. Renamed Kolkata in 2001, the city now has a population of around 15 million, and is India’s oldest and only riverine port. 10. Vivekananda was born on January 12, 1863 and given the name Narendranath Dutta. In 1881, he saw Ramakrishna Paramahamsa for the first time. Not only did Vivekananda quickly become Ramakrishna’s favoured and most important disciple but, shortly before Ramakrishna gave up his body in 1886, was ordained as a monk by the master himself. In 1887, after giving formal shape to the monastery, Vivekananda began to roam the country as a wandering monk. In 1891, he heard about an international conference on religions that was to be held in Chicago in 1893. Somehow he managed to go Chicago where he was hardly noticed, until he began to speak. His opening words, ‘Brothers and sisters of America’ electrified the audience, resulting in a standing ovation that lasted several minutes. So powerful was the impact of his short oration that Vivekananda spent many years overseas, and came back only in 1889. After a stay of two years in India Vivekananda went overseas again, returning in 1900. His foreign tours were now over, and Vivekananda began spending his time serving the people and spreading the message of his master. He gave up his body in 1902. 11. Most religions have two aspects, a) liturgy which deals with the procedural, ritual and various other practical aspects related to birth, marriage, death, etc., and b) the theological aspect dealing with the philosophy and the rational analysis of the concept of God, within the framework of that religion. Where Sanatana Dharma or the ancient religion of India (more popularly known as Hinduism) is concerned, it has three distinct aspects instead of the usual two, these being Vedanta or the philosophical aspect, Vedas or the liturgical aspect and the puranas or the mythological aspect (see note 12 below). Although according to Vedanta God in His absolute aspect is without any form, the puranas (for reasons explained in the following note), describe Godhead as a trinity consisting of Brahma the Creator of the universe, Vishnu its Sustainer and Protector and Siva the Dissolver, who terminates the universe once the purpose for which it was created is over. The deities Brahma, Vishnu and Siva have consorts named Saraswati, Lakshmi and Parvati/Shakti respectively. Furthermore, Saraswati is worshipped as the Goddess of Knowledge, Lakshmi as the Goddess of Wealth, and Shakti as Mother Nature. Swami has explained in detail how, although God in the ultimate is without form, it is extremely useful to begin by worshipping God with a specific form, especially since that is much easier for simple folk. Swami says this is rather like a beginner using aids while learning to swim. And just as the swimmer discards the aids once he/she can swim comfortably so also, after attaining sufficient spiritual maturity, the seeker can give up the worship of God with form and move on to meditating on God in His formless aspect. 12. Puranas basically mean ancient texts, and contain mythological stories that amplify the Vedic texts by giving meaning via various personalities and their lives to values that must be upheld, duties that must be discharged, etc. There are many puranas and almost all of them deal with Creation, the struggle between good and evil, and how Divine intervention invariably comes to the rescue of the good and the downtrodden. Standing apart and towering above all the rest are the two classic epics which too play the same role as the standard puranic texts. These are a) the Ramayana, which is the story of God incarnating as Sri Ramachandra, and b) the Mahabharatha, which is all about the struggle between good and evil, and how the good people triumphed when they sought refuge in the Lord who had incarnated as Bhagavan Sri Krishna. 13. Sage Valmiki is the author of the celebrated epic Ramayana, which describes in great detail the story of the Lord in His incarnation as Rama. By birth, Valmiki was a hunter named Ratnakaara who later turned a robber and even killed people at times. However, having been born for a larger purpose, when the time came Ratnakaara had an encounter with Sage Narada who told him that by robbing and killing people he had accumulated a huge burden of sin. Devastated by this revelation, the hunter asked what he must do to seek redemption. 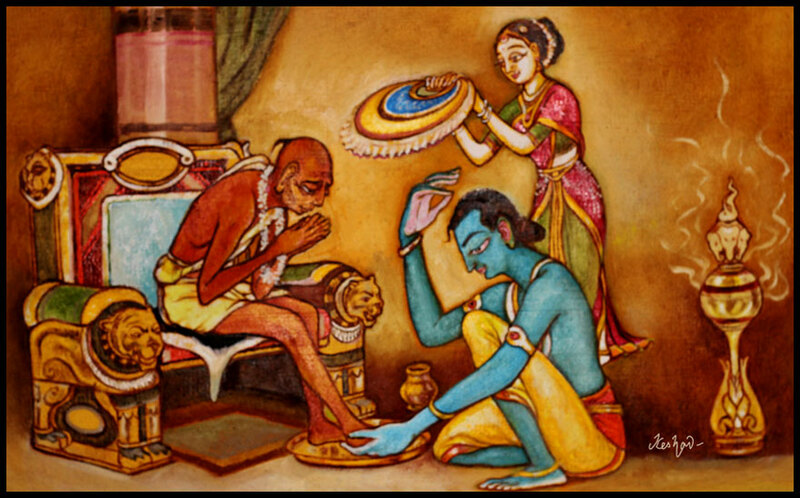 Narada’s answer was, “Sit down, close your eyes, think of God and ceaselessly chant the word Rama.” Ratnakaara did not know who Rama was and nor did he bother. Anxious to wipe out his sins, he took Narada’s advice seriously and kept on chanting the Name. Actually, he got the Name wrong and chanted mara instead of Rama. However, when he chanted at speed, it sounded very much like Rama, Rama instead of mara, mara. So immersed was the hunter in his chanting that he lost count of time as also what was happening to him. Years passed and an entire ant-hill grew over him. Finally one day he broke out and when he emerged the hunter was gone and in his place stood a rishi or sage. He now became known as Valmiki or the one who emerged from Valmika, the Sanskrit word for ant-hill. Shortly after that Sage Narada came to see Valmiki and from him the Sage Valmiki realised that his task was to write the story of Lord Rama, which he did magnificently. 14. According to the Vedic tradition, there were many Vyasas all of whom, through intense meditation received revelations which later became the basis of Vedas. That said, the one normally referred to as Vyasa was the twenty ninth in the line, his full name being Vyasa Krishna Dvaipayana, often regarded as an aspect of Lord Vishnu Himself. 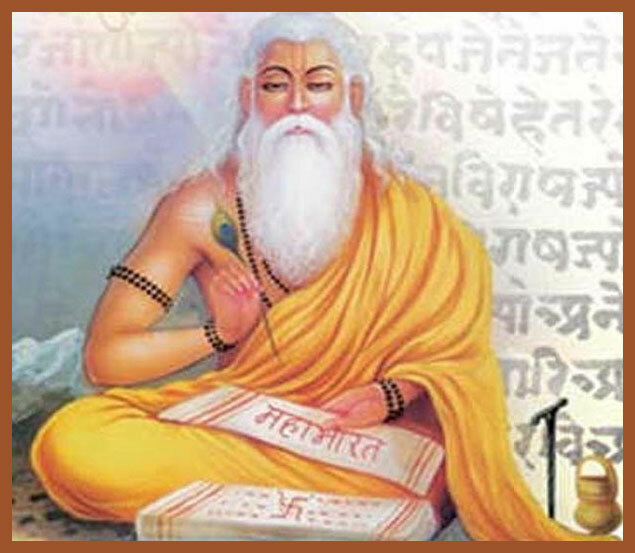 Vyasa’s contribution is monumental in that he not only classified and codified the Vedas for the first time but also packaged them the way they are now known to us. However, he is better known as the author of Bhagavatham – see note 17 below. 15. In the Gita, Lord Krishna describes the stratification of the human race in terms of the aptitudes of people and places them in four categories, namely, brahmanas (or brahmins as they are now referred to), kshatriyas, vaisyas, and sudras. Krishna described this classification as the varna system, adding that by nature brahmanas tend to be scripturally inclined, the kshatriyas prefer to become soldiers, vaisyas are keen about trade and commerce, while sudras form the backbone of the service sector. Over time, however, the varna system which, by the way became hereditary, morphed into the notorious caste system which was highly exploitative and remained so for millennia, until the inequities were got rid of, first by a legal process and later via social transformation. While traces of erstwhile prejudices and discrimination might still remain, the caste system with its extreme oppression is now largely a thing of the past. People often confuse Krishna’s varna classification with the discriminatory caste system, which has no sanctions in the scriptures. Swami has discussed this confusion on several occasions, stressing that diversity is a natural expression of Nature. People have aptitudes they are born with and, as someone said, Beethoven was born to write music and not design bridges! That is how diversity manifests in Nature. 16. Saint Ramdas was born as Gopanna in a pious brahmin family 1620 in a small village in a regions which is now known as Andhra Pradesh. Influenced in part by family tradition and in considerable measure by his intrinsic inclinations, from his childhood Gopanna became drawn to Lord Rama, in particular as the presiding deity of a temple in a place called Bhadrachalam on the northern bank of the Godavari river. In due course, Gopanna secured employment as a tax collector to the local (Muslim ruler) a Nawab named Tana Shah, who held court at a place called Golconda. Overwhelmed by his devotion for Rama, Gopanna decided to build a temple for the Lord and, lacking resources, decided to use the tax revenue for this purpose, promising to himself that in due course he would return all the money to Tana Shah. When Tana Shah came to know of this he promptly threw Gopanna into prison, from where Gopanna poured out his heart to Rama via most touching musical compositions. It is said that shortly thereafter, Lord Rama and His brother Lakshmana appeared in the court of Tana Shah as two young persons and offered gold coins on behalf of Gopanna to secure his release. Some of those coins have been preserved and can be seen even to this day. Deeply moved, Tana Shah not only released Gopanna but also gave the latter enough land to build the temple and continue his adoration of Lord Rama. Known in history as Bhadrachalam Ramdas, his musical compositions soon gained popularity and in fact strongly influenced Saint Tyagaraja who came a century later. Tyagaraja, a musical genius himself, pays rich tribute to Bhadrachalam Ramdas in many of his compositions. 17. Bhagavatham, also known as Srimad Bhagavatham and Bhagavatha Purana is unquestionably the foremost of the traditional eighteen puranas and, like the rest of them, is all about stories of the Lord. Narrated in eighteen thousand verses arranged in twelve cantos, what distinguishes this particular one is that it focusses on bhakti yoga, the path by which the devotee comes close to the Lord through service, love and total immersion in Him. The Bhagavatham was written by Sage Vyasa, but as presented, it is a narration by Sage Sukha to King Parikshit who, faced with imminent death due to an old curse, wants to sanctify his last moments by hearing the story of Lord Vishnu in His Absolute aspect as well as His various manifestations as an Avatar in order to preserve Dharma, besides saving His devotees. That said, the main focus is on Vishnu’s incarnation as Sri Krishna, an incarnation in which the Lord came down with the full complement of His powers, i.e., as a Poorna Avatar. Over time, the faithful piously read the Bhagavatham in the hope and belief it would cleanse them of spiritual impurities, strengthen their devotion, and bring them closer to the Lord. What do you think about this essay based on Swami's Divine Discourse? Please let us know by writing in to [email protected]. Do not forget to mention your name and country.